A glimpse on horoscopes of film starts reveals as if Mars and Venus have incarnated in Mumbai. Many superstars of their time have mars with the blend of Venus either through zodiac signs or through constellations. They proved not only melodious while singing around the trees but motivated school boys running from their school with matinee in theatres. Kukku made school boys more crazy than Helen or Bindu did. Not only female starts but males too created drain upto theatres leaving legendary stories. People were dying just to see or touch them. In certain cases their photographs climbed from their bedrooms to their pooja rooms. 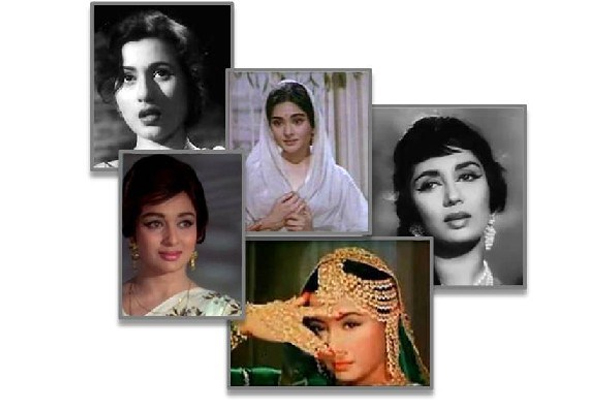 A galaxy of female stars like Sadhana, Nutan, Nargis, Mumtaz, Hema Malini, Vahida, Madhu Bala, Sharmila, were centers of fantacy world of the youth and had no parallels in the respective times. On one side Sadhana cut hair style became the fashion mark and on the other side red scarf of Dev Anand was not the penultimate choice. There is not even a thin line of difference amongst the male & female film stars. Analyzing astrologically we find Mars and Venus poured their blessings and a common factor could be sorted out in their horoscope that Mars placed in Venus sign or more in the constellation of Venus created all the magic, that they hypnotised the post independence youth upto a fantacy fulfillment of their dreams transformed to their visual life. The generations gap became more wider due to these starts as the voice of melody queens Lata, Asha, Suriya and Begum Akhtar, Geeta Dutt and amongst male singers Rafi, Mahendra Kapoor, Manna De, Mukesh, Hemant Kumar and Kishore Kumar created the magic filled by these super casts and all fathers and their grooming young children struck daily just because of the reason that fathers and mothers liked bhajans while the children became very good bathroom singers. This all has resulted in overcrowding in Mumbai, and the stardum of romantic and angry young man heroes made the Mumbai film industry parallel to Hollywood. Now you can find in Mumbai a wonderful co-existence of fantacy, dreams, hypotism, fraud, exploitation, crimes and all sorts of vulgarity. We exactly don’t know what the old melody queens might be thinking about the young generation starts who have outclassed vamps, dammars and anti heroic roles. Certainly what we may find common in all those incarnation of Mars & Venus in Mumbai. Scruting of horoscope of these legendary stars reveals that they all have powerful mars in their horoscope either placed in Venus sign, Venus constellation, navamsha of Venus or aspecting Venus sign. If we spare Mars and Venus impact from horoscopes of the stars enjoying stardum. Maximum of actors who did not have such configuration could not reach such a stardum. The most condemned combination in astrology is of Mars and Venus but in recent years statistically examined horoscopes with Mars, Venus. Configuration helps persons conferring on them ‘Gandharva Vidhya’. The ancient ‘Gandharva Vidhya’ parallel to dance, music, arts and such things. Pandavas during the period of their erute taught this education to the daughter of King Virat, the girl Uttara later became the wife of Abhimanyu, son of Arjun. This was perhaps a rare case in Ancient India that a daughter-in-law accepted a girl this way. Condemates of this astrological yoga appears to have cancelled how as the increasing number of parents aspiring their daughters to be star make all sorts of compromises. The crooked upstairs of stardum always find place in gossip columns. This all could be confirmed within Mars-Venus configure for people leaving hypnotizing impact on the masses, moon-venus relationship has also been praised and we find scattered references in ancient astrological texts. Top musicians, star, leadership, physiotherapist, romantic storywriters and classical singers are the product of either Mars-Venus relationship or Venus-Moon relationship. Now a days we find combination arising out of Venus leads to profession relation to Hollywood & Bollywood and more one software, hardware and such type of finest works demanding more precision. Indian mythological texts praise Venus having blessed with all the rights relevant to wealth. That’s why people worship Venus for arts and wealth. Astrologers find combination of wealth through Venus. Obviously if horoscope of a child is examined, Mars, Venus combination may be suggestive of their lines of profession leading upto Bollywood.